Today’s Brew: It’s me, so it’s Blueberry. Melissa Petreshock and I bonded over our love of Thirty Seconds to Mars. So on the morning after Mr. Leto won an Oscar, it’s especially appropriate that Melissa is stopping by the blog. We also found out our books were being released into the world at about the same time, so even though our journeys have been different, I feel like we’ve been on it together. Melissa writes lush, futuristic fantasy, brimming with hot men and a powerful woman at the center of it all. Everything Melissa does, she puts her all into, so read on to find out why Boston rules the 22nd world. As soon as we started putting together this themed topic blog tour and Kristen threw her hat in to participate, I knew the topic of my location choice for FIRE OF STARS AND DRAGONS had to go to the Undead Duo’s blog. They’re a wicked perfect match, and I want to thank Kristen and Julie for inviting me to guest post for the first time on Deadly Ever After. The FIRE OF STARS AND DRAGONS world is set in the 22nd century where supernaturals have all come out of the shadows and meshed into society to varying degrees. Here in America, much has changed. Our government has toppled to the rule of these more powerful beings, and we have become United Sovereign America under a monarchy with an ancient vampire by the name of Corrin as king. With so many changes, a futuristic setting, and a new ruling body, I wanted a location I felt fit the story, and by extension, me. My family ancestry is greatly Irish, so it’s always been an interest of mine, leading to King Corrin being a vampire of Celtic origins. All of this tied into the fact I spent several years living in Massachusetts, in and around the Boston area. 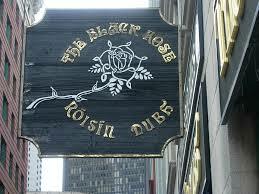 Boston has such a rich Irish subculture at its core, I felt it was where Corrin’s family would have been living prior to the supernatural “coming out” then would sensibly be where he set up the center of his kingdom. 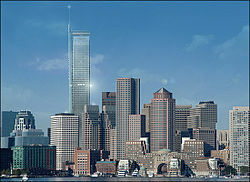 What made this whole idea come together in the most wicked awesome way was when I ran across an article online about a 1000-foot tall, 75-story skyscraper that had been proposed for the city of Boston yet never built due to FAA issues with Logan International Airport too near downtown. I saw the picture of the computer-modeled Boston skyline if it had been built and knew it was King Corrin’s idea of a castle. “If there were such a thing as a dragon book of etiquette… Oliver would have undoubtedly written it.” It’s sleek, modern, has a commanding presence over the city, and is total overkill. Throughout the book, there are mentions of locations and areas specific to Boston. By no means is this a fantasy book where the setting is totally out of your reach. 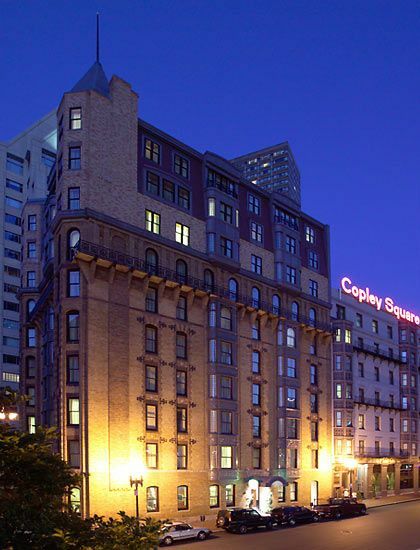 It may be 170 years in the future and missing the skyscraper housing the Royal Offices, but anyone can venture through the Financial District, shop at Copley Place, visit Faneuil Hall, or eat at the Black Rose. The world within FIRE OF STARS AND DRAGONS has a sense of realistic tangibility for readers, and that’s part of the experience I want them to have. FIRE OF STARS AND DRAGONS is available for preorder now!! Tammy Farrell’s historical fantasy, The Darkness of Light, is available today! I’m about halfway through reading the book now. It’s a lush fantasy set in the United Kingdom. It’s got magic, murder, love, loss, betrayal…what else can you ask for? Pick up your copy and we can all chat about how it ends! At the dawn of the sixth century, in the aftermath of her mother’s brutal execution, Mara Black is forced to flee the only life she has ever known. Mara can tell she’s different, but isn’t sure why. After she encounters two mysterious strangers, she discovers her secret is but a drop in an ocean of many. She is a Dia, a descendant of ancient gods, and her mother sacrificed herself to protect Mara from their past. Summoned by an uncle she didn’t know existed, Mara thinks she’s found the family she’s always wanted, and Corbin, a love she never thought possible. But not everything is as it seems. Her uncle has other motives for protecting her, and her mentor, Malcolm, becomes so jealous, he’ll do anything to get what he wants. When tragedy strikes, and the true darkness among them comes to light, Mara discovers that sometimes love can give you everything, and obsession can take it all away. With her powers gone, and destiny calling, she has to look deep within to find the courage to save herself. Mara, along with Corbin and her newfound family, must fight to get back what was taken, or die trying.